Welcome to another edition of the Worldbuilding series. In our last article, I taught you how to put mountains on your map. I also gave you some thoughts about how mountains are formed and the different kinds there are. 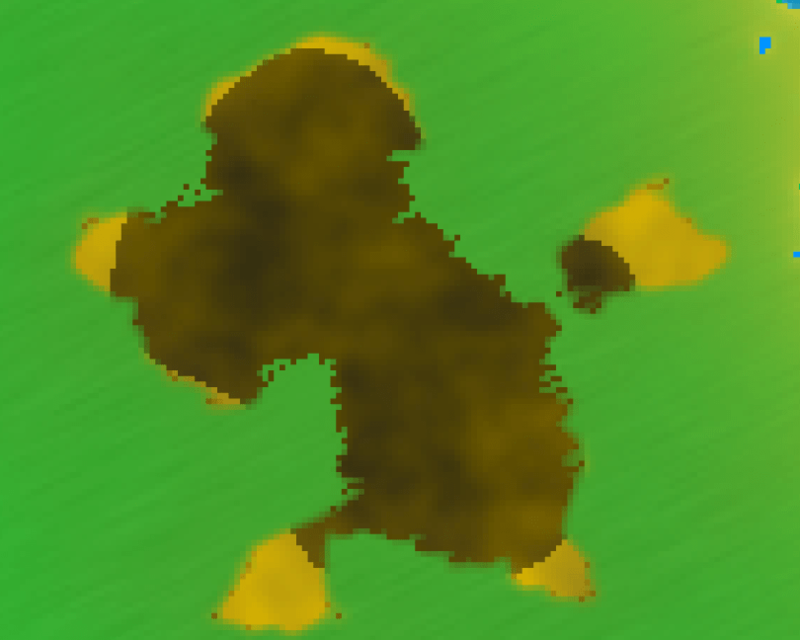 Today, we take the simple 2D mountains on your map and give them some texture, to give more of a 3D look. Like all tutorials, I am going to show you the basic technique I used and it is up to you how you want to use it to create your maps. You may decide you want to use different colours or even have more than 2 types of mountains. With your imagination and my tutorials, the possibilities are endless. Before we begin, I want to talk quickly about Tectonic plates. There will be an article that discusses this in greater detail, but I got a complaint that my mountains I designed didn’t correspond to how plate tectonics worked. That is an accurate complaint. I didn’t design them that way. Why? The point of these tutorials are to show you techniques on how to make maps. Now, I could take the extra step and make tutorials that correspond to all the rules of worldbuilding, but that responsibility falls to you. If you decide to make your mountains correspond to how tectonics work, then that is your decision to make. What I give you is the tools to help you shape how your final map will look. I also want to note that as you begin to design your map, you will find that there is some element that you are not happy with. Perhaps you don’t like where deserts are located, or how your mountains appear. It is perfectly OK to start a new layer and try again. Don’t delete your old work, never know when you might need it again. I myself often redo the land or deserts, or even mountains. In fact, my design for mountains changed from last tutorial to this one, and I ended up covering up some deserts and erasing others. Generally you don’t want to delete until the end of the project, but if you don’t want something, you know. I show you the science, you make the art. Dark mountains are the Low mountains and Light mountains are the High mountains. Remember, Dark and Low, Light and High. We want the map selected around the mountains, we don’t want the mountains selected. If you do this and the whole map but your mountains are layered with cloud rendering, you had mountains selected. Undo action and then invert selection. Now, it looks like our mountains have some texture. Now lets do the same to Light Mountains. 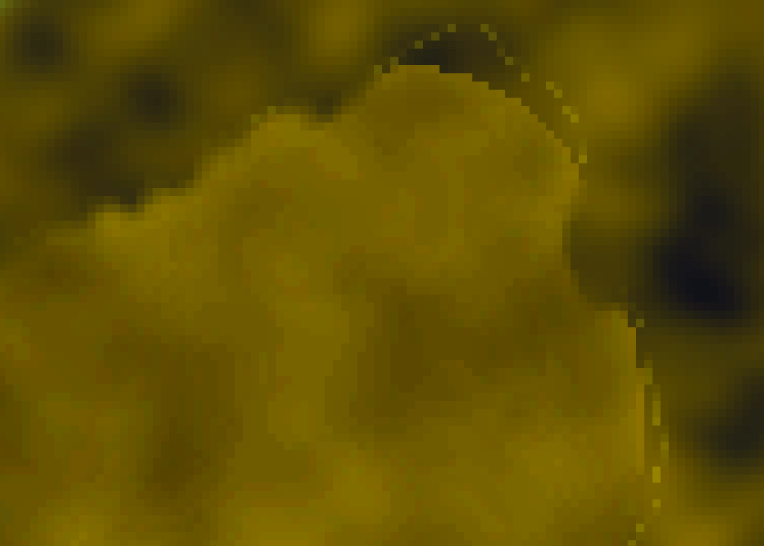 Now you have a basic texture to mountains. Play around with this like always and find what works for you. Now you can leave it like this, or you can uncheck the basic layers and do the next section to get better detail. This technique requires a lot more steps to accomplish and requires you to use your best judgement. You may have to do a lot of undo on various steps or do a few other steps more often than I do it. Now you can leave it here, this does look nice. Or you can follow the next steps to give it definition. This is so you can directly see how your mountains are affected. You can do sharpen a 3rd time, but we don’t want the black to be too black. 2 times should be good. Now you will notice that some of the edges are turning a brown or yellow color. We are going to get rid of this. c. Click the little pixels that are remaining from the discoloration until all pixels are gone. This does affect the final shape of your mountain. Don’t worry too much about this. Think of it as erosion, which does shape mountains. You should be good with 2 sharpens again. We don’t want the black to be too black. There we have it. Now uncheck Dark Mountains and see how your mountains have changed. Now the final part, the High Mountains. There may be a bit of dark brown where the Light Mount use to be. Go ahead and do a shift+click with the magic wand to delete this. You are now done. If this confused you a little, just remember that the brighter the colour is, the higher elevation it is. You have now created detail structured mountains. Don’t worry if the colors seem a bit off on the higher mountains versus the low mountains. In a later tutorial, I will teach how to make snow caps. Of course, you are welcome to play around with the settings on everything to figure out what is best for you. 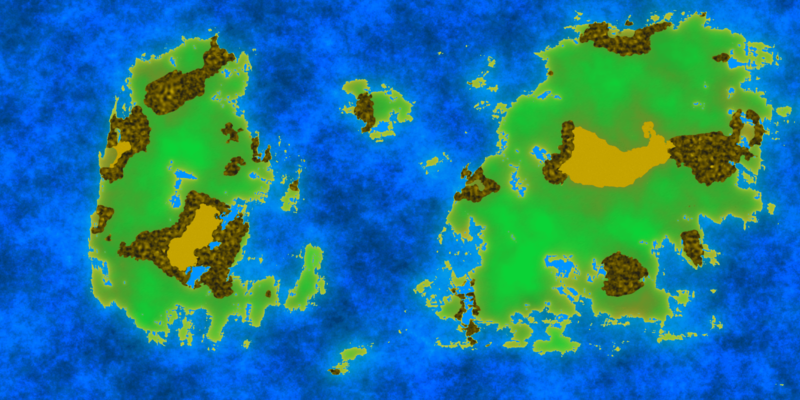 Next tutorial will discuss Tectonic plates and their importance, and after that, Forests. Once forests are in place, we can get hills, then rivers. We’re almost done. As always, please leave a comment below. I love to hear back from you, in case you have some questions, or perhaps you want to show me your map. Also, if you haven’t entered yet, for the month of July, I am having a contest for a book giveaway. The more people who enter, the more prizes will be available. You can find that here.